ROCKVILLE, Md., 2017-Nov-02 — /Travel PR News/ — The Ascend Hotel Collection has been on an impressive growth trajectory with 13 new hotels joining the collection in October. As the world’s first and largest soft brand and part of the Choice Hotels International, Inc. (NYSE: CHH) portfolio of brands, the Ascend Hotel Collection is expected to have one of its best growth years. There are now more than 190 hotels worldwide, with an additional 10 properties anticipated to open before the end of 2017. 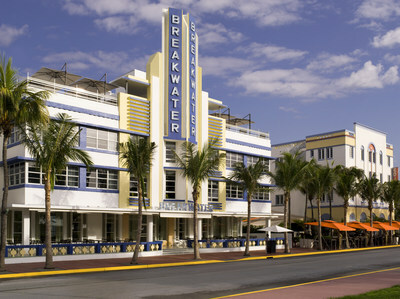 Breakwater South Beach (Miami, Fla.) – This iconic Art Deco boutique hotel is located in the heart of Miami Beach and guaranteed to give all visitors sun-kissed memories with local flavor. Casa Victoria Orchid (Miami, Fla.) – Get swept up in the charm and romance of Casa Victoria Orchid with its European-inspired neighborhood escape from the hustle and bustle of South Beach Miami. Hotel Ocean (Miami, Fla.) – Situated near South Beach Miami, The Hotel Ocean is the true beach destination. Located within minutes from the beach, the hotel is immersed in local flavor that gives an eclectic, edgy neighborhood vibe. LuMINN Hotel (Minneapolis, Minn.) – The LuMINN Hotel is located in downtown Minneapolis near U.S. Bank Stadium and University of Minnesota. The 55-room boutique hotel was converted from the century-old Federal Plaza building. Gallus Stadium Park Inn (Columbia, S.C.) – Explore South Carolina’s state capital while staying at the Gallus Stadium Park Inn. Located minutes to the University of South Carolina and the Williams-Brice Stadium, fans will be immersed in school spirit. Hotel Frederica (Little Rock, Ark.) – The local flavor of downtown Little Rock comes alive at the Hotel Frederica. The boutique hotel is located near Verizon Arena, Statehouse Convention Center and the State Capitol Building. Bluegreen Blue Ridge Village (Banner Elk, N.C.) – Nestled in the woods of Banner Elk, N.C., Blue Ridge Village is the ideal destination for outdoor lovers. Bluegreen Carolina Grande (Myrtle Beach, S.C.) – Carolina Grande is the ideal beach resort located in the heart of Myrtle Beach. Bluegreen Horizon at 77th (Myrtle Beach, S.C.) – Embrace comfort and relaxation at Horizon at 77th resort located in the heart of Myrtle Beach. Bluegreen Laurel Crest (Pigeon Forge, Tenn.) – Laurel Crest is a cozy country haven offering breathtaking views of the Smoky Mountains. Bluegreen The Breakers Resort (Dennis Port, Mass.) – This boutique hotel is located within easy access to Nantucket Sound and offers a peaceful beachfront vacation. Bluegreen The Falls Village (Branson, Mo.) – Located in the hills and valleys of the Ozark Mountains in Branson, Mo., The Falls Village greets guests with a warm, cozy welcome in a property that provides a relaxing stay. Bluegreen Odyssey Dells (Wisconsin Dells, Wis.) – Get caught up in the lush beauty and local flavor of Wisconsin Dells at Odyssey Dells, a year-round vacation destination. HTL 587 (San Francisco, Calif.) – HTL 587 is located minutes from downtown San Francisco and Union Square’s world-renowned restaurants and tourist attractions, like the Transamerica Pyramid and Fisherman’s Wharf. HTL 587 is an urban sanctuary against the backdrop of the San Francisco skyline with impeccably designed guest rooms and special amenities. The Vue Hotel (Long Island City, N.Y.) – Located in Long Island City, the Vue Hotel is an excellent option for visitors looking to explore New York City in a whole new way. Unity Village Hotel & Conference Center (Lees Summit, Mo.) – Located 20 minutes from downtown Kansas City, the Unity Village Hotel & Conference Centeroffers a variety of accommodations for guests, the Unity Village Hotel & Conference Center is perfect to host a retreat, workshop, wedding or any other special occasion. Ascend Hotel Collection properties can be found in popular destinations around the U.S., as well as in France, United Kingdom, Norway, Sweden, Turkey, Australia, and Canada. New openings are expected every month for the remainder of 2017 in top travel markets, such as San Francisco, New Orleans and Brooklyn. Choice’s strategic alliance with Bluegreen Vacations has helped drive the Ascend Hotel Collection portfolio’s remarkable expansion, particularly into key resort markets. This affiliation began in 2013 with 24 properties and, as a result of that success, has since expanded to 36 hotels and resorts across the United States. Choice Hotels also recently redesigned its development website to create a more welcoming, dynamic and user-friendly experience for franchisees and developers. The updated site offers exciting visuals and easy to find information and resources, while also highlighting the value and benefits of developing a hotel with Choice. Enhancements to the site’s technology include improved mobile capability, a content management system that allows for rapid updates and creative flexibility, as well as seamless email integration. Visit ChoiceHotelsDevelopment.com to experience the new site and learn more about development opportunities with Choice Hotels. The Ascend Hotel Collection is a global portfolio of unique, boutique and historic independent hotels and resorts and is part of Choice Hotels International, one of the world’s leading hotel companies. Recognized as the hotel industry’s first “soft brand” concept, the Ascend Hotel Collection® has more than 190 properties open and operating worldwide, including in France, the United Kingdom, Norway, Sweden, Turkey, Australia, Canada, and the Caribbean region. Membership with the Ascend Hotel Collection enables distinctive, independent properties to gain a global presence while maintaining their local charm. For more information, visit www.choicehotels.com/Ascend. Choice Hotels International, Inc. (NYSE: CHH) is one of the world’s largest hotel companies. With over 6,500 hotels franchised in more than 40 countries and territories, Choice Hotels International represents more than 500,000 rooms around the globe. As of June 30, 2017, 792 hotels were in our development pipeline. Our company’s Ascend Hotel Collection®, Cambria® Hotels, Comfort Inn®, Comfort Suites®, Sleep Inn®, Quality®, Clarion®, MainStay Suites®, Suburban Extended Stay Hotel®, Econo Lodge®, Rodeway Inn®, and Vacation Rentals by Choice Hotels® brands provide a spectrum of lodging choices to meet guests’ needs. With more than 32 million members, our Choice Privileges® rewards program enhances every trip a guest takes, with benefits ranging from instant, every day rewards to exceptional experiences, starting right when they join. All hotels and vacation rentals are independently owned and operated. Visit us at www.choicehotels.com for more information. Bluegreen Vacations Corporation (formerly Bluegreen Corporation), founded in 1966 and headquartered in Boca Raton, Florida, is a leading vacation ownership company that markets and sells vacation ownership interests (VOIs) and manages resorts in top leisure and urban destinations. The Bluegreen Vacation Club is a flexible, points-based, deeded vacation ownership plan with approximately 210,000 owners, 66 Club and Club Associate Resorts and access to more than 11,000 other hotels and resorts through partnerships and exchange networks. Bluegreen Vacations also offers a portfolio of comprehensive, fee-based resort management, financial, and sales and marketing services, to or on behalf of third parties. Certain matters discussed in this press release constitute forward-looking statements within the meaning of the Private Securities Litigation Reform Act of 1995. Generally, our use of words such as “expect,” “estimate,” “believe,” “anticipate,” “should,” “will,” “forecast,” “plan,” “project,” “assume” or similar words of futurity identify such forward-looking statements. These forward-looking statements are based on management’s current beliefs, assumptions and expectations regarding future events, which in turn are based on information currently available to management. We caution you not to place undue reliance on any such forward-looking statements. Forward-looking statements do not guarantee future performance and involve known and unknown risks, uncertainties and other factors. Several factors could cause actual results, performance or achievements of the company to differ materially from those expressed in or contemplated by the forward-looking statements. Such factors include, but are not limited to, changes to general, domestic and foreign economic conditions; foreign currency fluctuations; operating risks common in the lodging and franchising industries; changes to the desirability of our brands as viewed by hotel operators and customers; changes to the terms or termination of our contracts with franchisees; our ability to keep pace with improvements in technology utilized for marketing and reservations systems and other operating systems; our ability to grow our franchise system; exposure to risks related to development activities; fluctuations in the supply and demand for hotels rooms; our ability to realize anticipated benefits from acquired businesses; the level of acceptance of alternative growth strategies we may implement; operating risks associated with our international operations; the outcome of litigation; and our ability to manage our indebtedness. These and other risk factors are discussed in detail in the company’s filings with the Securities and Exchange Commission including our annual reports on Form 10-K and our quarterly reports filed on Form 10-Q. We undertake no obligation to publicly update or revise any forward-looking statement, whether as a result of new information, future events or otherwise. This entry was posted in Business, Hospitality, Hotels, Travel, Travel Management, Travel Services, Travelers and tagged Choice Hotels, The Ascend Hotel Collection. Bookmark the permalink.